Last Year’s 13 BBF-funded Summer Jobs students, their employers, and the sponsoring firms at a BBF sponsored Breakfast that took place at the BBA. Our longtime readers are very familiar with the BBA’s Summer Jobs Program. They know all about this year’s 64 students and the amazing diversity they represent in our city. They’ve followed past students through their first day of work, weekly enrichment seminars and graduation. One thing we haven’t talked as much about is the impact Boston Bar Foundation funds have on the program. 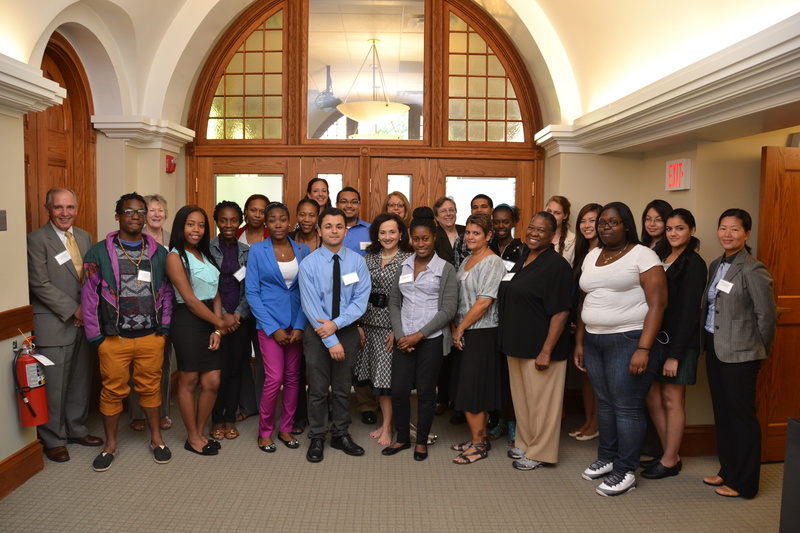 This year, 14 students will benefit from paid summer internships at legal service and government agencies across Boston thanks to the BBF. In the past, these students have had some pretty incredible experiences. We thought Beyond the Billable was the perfect place to clarify the BBA/BBF Summer Jobs relationship as we get ready to kick off an amazing summer. We’ll keep it pretty simple. The BBA runs the program, which includes organizing enrichment seminars, the Kickoff and graduation, working with the PIC and Boston Public Schools to select the students, and recruiting law firms and offices to fund positions for the students. The BBF funds additional job placements in legal service and government agencies thanks to the generosity of area law firms, businesses and individuals, as well as the support of the sponsors and attendees from the BBF’s Casino Night fundraiser. We’ll be following the BBF students closely this summer, so make sure to keep checking Beyond the Billable for more. To learn more about how the BBF supports the Summer Jobs Program, please visit the BBF’s website here. The BBF would like to thank Hirsch Roberts Weinstein, Hemenway & Barnes, Arrowood Peters LLP and Dain, Torpy, Le Ray, Weist & Garner, P.C. for their generous donations to the BBF to fund Summer Jobs positions.